New studies on vitamin D show that it promotes increased testosterone level. Raise your vitamin D level and you will raise your testosterone level. Higher testosterone means better body composition, more muscle mass and better overall health. A groundbreaking new study shows that raising your vitamin D level will increase free testosterone, and it supports one of the very first studies to identify the relationship between vitamin D and testosterone. According to a study conducted by researchers at the Medical University of Graz, Austria, increasing levels of vitamin D in the body may help increase testosterone levels of men and their sexual desire. The work was published in the journal Clinical Endocrinology. The researchers tested the levels of vitamin D and testosterone in 2,299 men over several months. They found that as levels of vitamin D increase, testosterone levels peaked in the summer and fell during the winter. They also found that men who had at least 30 nanograms of vitamin D in each milliliter of blood had higher levels of circulating testosterone. A small randomized controlled trial suggested that vitamin D might increase the production of testosterone in men. First, let’s look at a study that tested a large population of men aged 40 to 79 for vitamin D and testosterone levels. The men who were deficient in vitamin D (below 20 ng/ml) had much lower free testosterone and higher estrogen. Along with poor reproductive health, the men who were deficient in vitamin D also had a higher body mass index, higher rates of cardiovascular disease, and greater chance of depression. The men with adequate vitamin D (above 30 ng/ml) had higher testosterone levels, the leanest body composition, a greater percentage of lean mass, and better overall health. Researchers suggest vitamin D supports testosterone production because there are vitamin D receptors on the cells in the various glands that release testosterone. In addition, vitamin D may inhibit a process called aromatization in which testosterone is changed into estrogen in men. In the second study, researchers gave men with low testosterone and vitamin D deficiency 3,332 IUs of vitamin D or a placebo daily for a year. 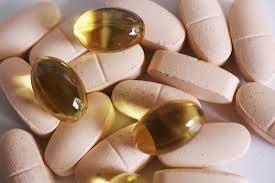 Taking the vitamin D supplement more than doubled vitamin D levels, bringing them into the adequate range (36 ng/ml). The men who took vitamin D increased free testosterone levels by the end of the study by 20 percent, whereas the placebo group had no change in testosterone or vitamin D.
Such a robust increase in testosterone is impressive from something as simple as getting enough vitamin D. Obviously, it is critical men get adequate vitamin D, but because this mineral plays such a central role in maintaining proper hormonal levels. 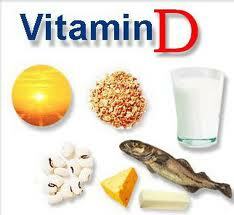 Vitamin D acts as an anti-cancer agent by ensuring healthy cell replication throughout the body. They have also been found to have a more favorable body composition, less body fat with higher vitamin D levels have leaner offspring as well! The take away is that you must ensure adequate vitamin D status for optimal body composition and health. To do so, it is necessary to supplement with D unless you get at least 20 minutes of full body sun exposure daily. The Vitamin D Council suggests achieving a level of at least 50 ng/ml, which is higher than the level reached by the men in the testosterone study. Take a multivitamin for men supplements that contain the recommended amounts of Vitamin D to promotes raise your testosterone level. Taking a multivitamin may help prevent cancer in healthy middle-aged men. After a series of conflicting reports about whether vitamin pills can stave off chronic disease, a new study of multivitamin use in men has a surprising message: This one worked. Researchers announced that a large clinical trial of nearly 15,000 older male doctors followed for more than a decade found that those taking a daily multivitamin experienced 8 percent fewer cancers than the subjects taking dummy pills. Study participants included 14,641 U.S. men, all doctors, who received either a pack of daily supplements, including the multivitamins, or daily dummy pills between July 1997 and June 2011. The doctors, who were followed for between 10 and 13 years, were excellent patients. They were pretty healthy, with a mean body mass index of 26 — just barely overweight — and only 3.6 percent of them smoked. They were also good sports: By the end of the trial, more than two-thirds of the docs were still taking their pills as directed, the study found. “It does appear that there is a modest reduction in cancer among middle-aged and older men,” said Dr. J. Michael Gaziano, chief of the division of aging at Brigham and Women’s Hospital and a researcher at the VA Boston Healthcare System. While many studies have focused on the effects of high doses of particularvitamins or minerals, like calcium and vitamin D, this clinical trial examined whether a common daily multivitamin had an effect on overall cancer risk. A randomized, double-blinded clinical trial, the kind considered the most rigorous type of study; it was one of the largest and longest efforts to address questions about vitamin use. The study also found that multivitamin use cut site-specific cancers, except for prostate cancer, by 12 percent, and suggested a 12 percent reduction in deaths caused by cancer, though that figure wasn’t statistically significant. “Even total mortality went in the right direction,” said Gaziano, whose new data comes from the Physicians Health Study II published Wednesday in the Journal of the American Medical Association. The study was supported by the National Institutes of Health and a grant, initiated by the investigators, from the chemical company BASF. Pfizer provided the multivitamins. The sponsors did not influence the study design, data analysis or manuscript preparation, the authors said. The finding is important in a country where more than half of U.S. adults use dietary supplements, according to the Centers for Disease Control and Prevention — and where the most common supplement is a daily multivitamin. Though several researchers said they were somewhat surprised by the findings, others called the results encouraging. Multivitamin use had no effect on the incidence of prostate cancer, which was the most common cancer diagnosed in the study participants. When researchers looked at the effect of vitamin use on all other cancers, they found a 12 percent reduction in occurrence. Overall cancer deaths were reduced among vitamin users, but the difference was not statistically significant. A major limitation of the study is that it included only male doctors, who were particularly healthy, with extremely low smoking rates, said Marji McCullough, a nutritional epidemiologist with the American Cancer Society. “We still need to find out whether these findings can be applied to others in the population,” she said. The research effort might have benefited from the fact that the doctors who participated were diligent about taking their pills, and the researchers suggested that the effect of multivitamin use might have been muted because the participants were health-conscious to begin with. Dr. David Chapin, 73, a gynecologist at Beth Israel Deaconess Medical Center in Boston who participated in the trial, said that although he had “never believed” in vitamins, he might start taking a daily multivitamin now, despite the modest benefit. Taking a daily multivitamin for men now and keep your healthy life. Taking a multivitamin tablet daily may improve memory and slow mental decline, according to new research. We all know that the brain must be kept in top condition to guarantee us a clear mind, a strong capacity for learning, a good mood and an air-tight memory. To successfully accomplish these tasks, the brain needs a consistent and unrestricted supply of oxygen and nutrients at all times. 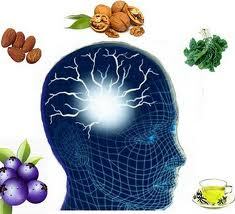 As the sensitive and highly complex organ it is, the brain needs this kind of nourishment to improve its functions. With proper vitamins, the circulation is enhanced, allowing oxygen and nutrients to be transported effectively to the brain, providing us with the brain power we were born to enjoy. The brain, along with the entire body, is affected by free radical damage. Eating junk food and being exposed to toxins threatens our health by depriving us of the nutrients so essential to a properly functioning system. The brain, like the body, needs exercise, the right amount of sleep and a good diet to perform as beautifully as it is capable of. Getting the right vitamins is essential, especially because many of our foods today are over-processed or grown in less-than-adequate soil, whereby the nutrients are not readily available. Where memory is concerned, there are several key vitamins that can help us retrieve and maintain a high-performance mind. Researchers have found that taking supplements has a beneficial effect on memory and may work by increasing efficiency of brain cells. The body needs 13 vitamins to function properly and maintain health. Vitamins A, C, D, E and K and the eight B vitamins each have specific job in the body. The B vitamins are powerful assets to improve memory. Because they help with the communication between the nervous system and the brain by manufacturing and releasing neurotransmitters, they provide an important stimulus for assisting concentration, awareness and other functions. Most particularly, B6 helps with the overall health of the brain, including memory retention. B12 is essential for decreasing the levels of homocysteine in the body, an amino acid responsible for hampering brain function. B12 also is responsible for repairing nerve fibers in the brain. Vitamin B9, or folic acid, produces red blood cells, which contributes to mental clarity. There are other vitamins that may improve memory. Vitamin C is an essential vitamin for fighting free radicals and maintaining overall health. Vitamin E is an anti-oxidant, helping protect the nerve cells from damage. Beta carotene also helps fight against free radicals, as does hawthorn berry, which cleans away toxins, strengthens blood vessels and tissues and helps transport oxygen to the brain. Choline is another powerful nutrient for brain power as it helps to prevent memory loss through forming the neurotransmitter, acetylcholine. Gingko biloba is an excellent tonic for the entire circulatory system, providing nutrition to the brain to increase alertness and clarity. Gotu kola helps with overall circulation, fortifying memory retention and overall brain health. A study at Monash University in Australia looked at whether multivitamins can improve cognitive abilities, and involved 3,200 men and women, the Daily Mail reported. The results showed that those who used a multivitamin had improved ability to recall events or information. Researchers believe it may work by increasing nerve cells` efficiency and improving memory. “The evidence is still limited but the studies hint at some possible beneficial effects. Optimal brain function depends on an adequate level of all of the vitamins. Multivitamins are likely to be more effective because people have different deficiencies,” Professor David Kennedy, of the Brain, Performance and Nutrition Research Centre at Northumbria University, said. It is best if you can take an all-in-one formula to improve memory, as you will find the ingredients properly balanced for maximum effect. Taking Multivitamins in this way is also cost effective. A multivitamin for men has all-in-one formula and is a balanced supplement for men. It supplies a full array of essential vitamins and minerals to improve your memory. 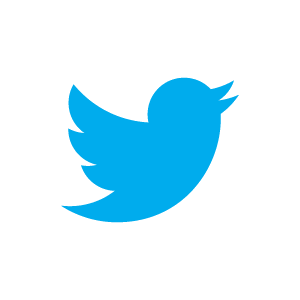 Increase daily productivity, learn a new skill set easier, improve memory.